A large proportion of people out there seem to believe that backlinks form the backbone of a website's SEO strategy. Building backlinks, of course is a high-risk, high-reward strategy. 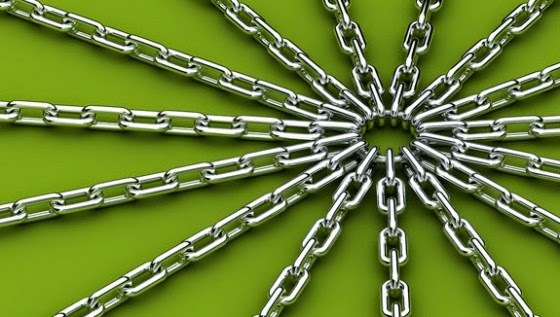 Having high-quality and relevant backlinks has its advantages, but there's a lot that can go wrong as well, especially since backlinking techniques today may be considered spammy tomorrow. So is there any truth to the myth that says backlinks are a must for ranking well? Ideally, web pages should be ranked based on how well the content is written, and how relevant is it to the user. Ideally, small or new sites should have as much chance of getting to the top of the search results as larger websites. But Search engines are nothing more than algorithms that accept a range of inputs, and give a result. The input here being the various ranking 'signals', and the output being the entries on the search result pages. The system isn't perfect. Hence search engines consider various factors, including backlinks, content quality, keywords, formatting, site load times, domain name and much more. Google is coming closer than ever to its ideal - many techniques that used to work to artificially inflate ranking no longer work. However, the fact remains that the best path to being the best is to actually be the best resource. Other factors don’t quite matter. The most important factor you ever need to focus on is the content. Backlinks aren't necessary, any more than any other major SEO factors. The only parts of SEO you need to consider are those that lead to your site being discovered; beyond that, let your content do the talking. Backlinks are just one factor out of hundreds that go into creating the ranking of a given piece of content. The thing is, they are one of the most important factors. When we talk about ranking content without backlinks, what we really mean is ranking content without putting the time and energy into creating backlink opportunities. It’s nearly impossible to write a piece of good quality content without making any backlinks at all. That’s because users will, on their own, link to content they like. These are natural, organic backlinks that you automatically get as a result of your great content, and they promote your content with no risk to you. It’s only when you start going out and looking for ways to add backlinks that you run into the possibility of Google penalties. Ideally, backlinks should only be organic. But our world is not ideal, and there are sites that earn backlinks by paying for them, or reciprocating via link exchanges, or through another form of bypass. thank you bro. actually for this matter We Tell About if we have to rank for long term site then don't use tactics to get spammy backlink.. If our content are good enough then we can easily rank on the top its take a time but after then they always get ranked high then other. Yes! a website can rank higher without backlinks. But!! If a site have best backlinks then it will rank very higher for many search queries. I am very happy to come over to your site this evening. please sir, I am experience a technical problem with my domain Register company i.e Godaddy.com, yesterday they sent me an email that read below. > Dear Valued GoDaddy Customer. > performance risk to the server. > create special tmp directory. so Sir, I really need your help or suggestion on how to go about this.I know this might be a wrong tread but I have to put it there because of it urgency. I will be very grateful If this comment will have immediate replay. I believe that one can build backlinks without spamming or cheating the system. It requires some techniques, a lot of dedication and be relevant to content.